The Somerville Bag is a useful and stylish shopping bag for a quick run to the shop, supplies for a day out, or perhaps a commute to the office. It fits perfectly on an Oxford rack, and has more than enough pockets to thoughtfully organise your stuff. It includes two external pockets, for an umbrella or bottle of water, and has a broad shoulder strap for comfortable carrying. 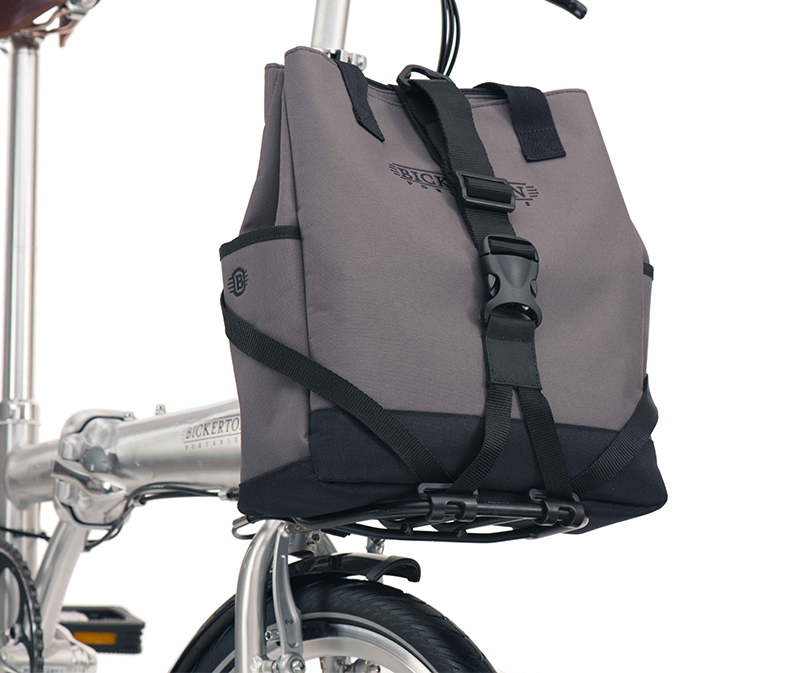 Strapped onto an Oxford rack you can carry your bag safely and securely, without affecting the stability of the bike. • Good size for your day’s provisions – wallet, keys, phone, note-book, sandwiches, raincoat.